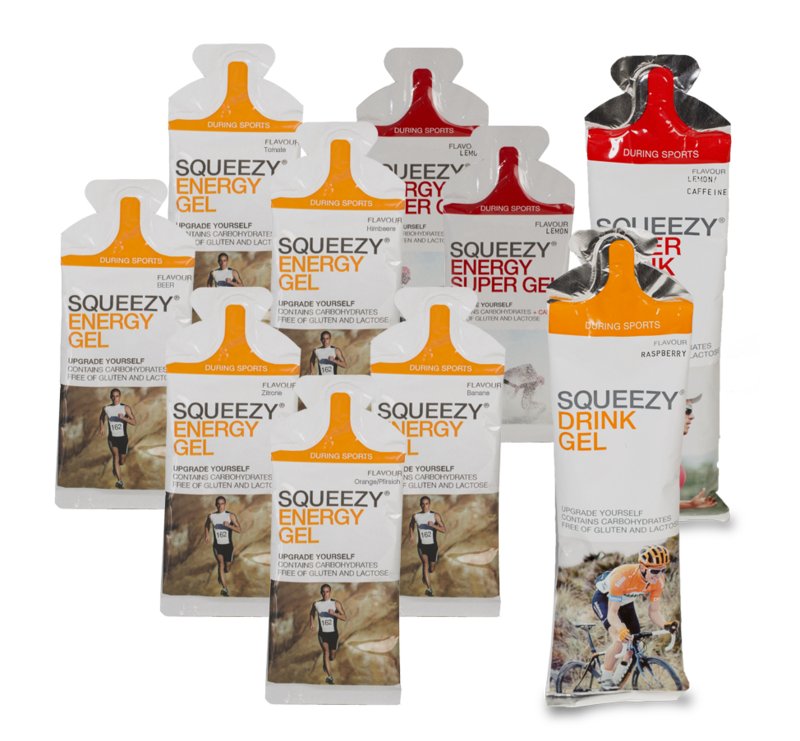 The test package provides the big variety of our SQUEEZY GELS. 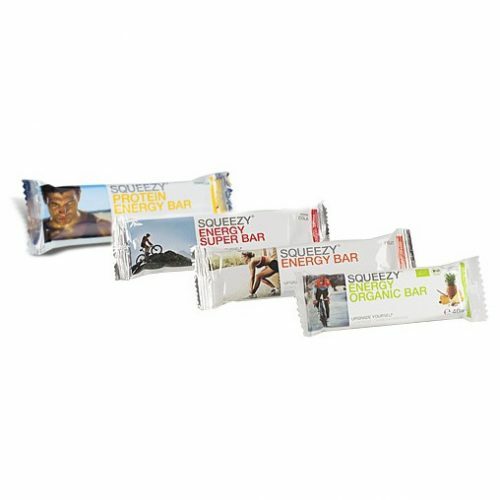 This bundle contains one sachet of each gel flavour (ENERGY GEL, DRINK GEL). Advice: The regular total amount of all products is 15.50 €. 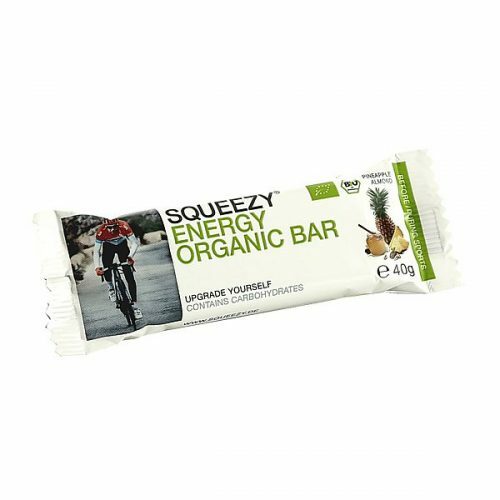 Why Energy Gels in sachets? What does the gel contain? What does the Drink Gel contain? maltodextrin, water, fructose, flavour, acidifier: citric acid; preservative: potassium sorbat; sodium citrate, salt, potassium citrate, antioxidant: ascorbic acid. maltodextrin, water, glucose, flavour, sodium citrate, acidifier: citric acid; potassium citrate, salt, preservative: potassium sorbate; caffeine* (100 mg / 100 g), antioxidant: ascorbic acid. *Not suitable for children, pregnant woman and caffeine sensitive persons. ** Caffeine is not suitable for children, pregnant women and caffeine sensitive persons. Caffeine: 100 mg/ 100 g of gel. Not suitable for children, pregnant woman and caffeine sensitive persons. 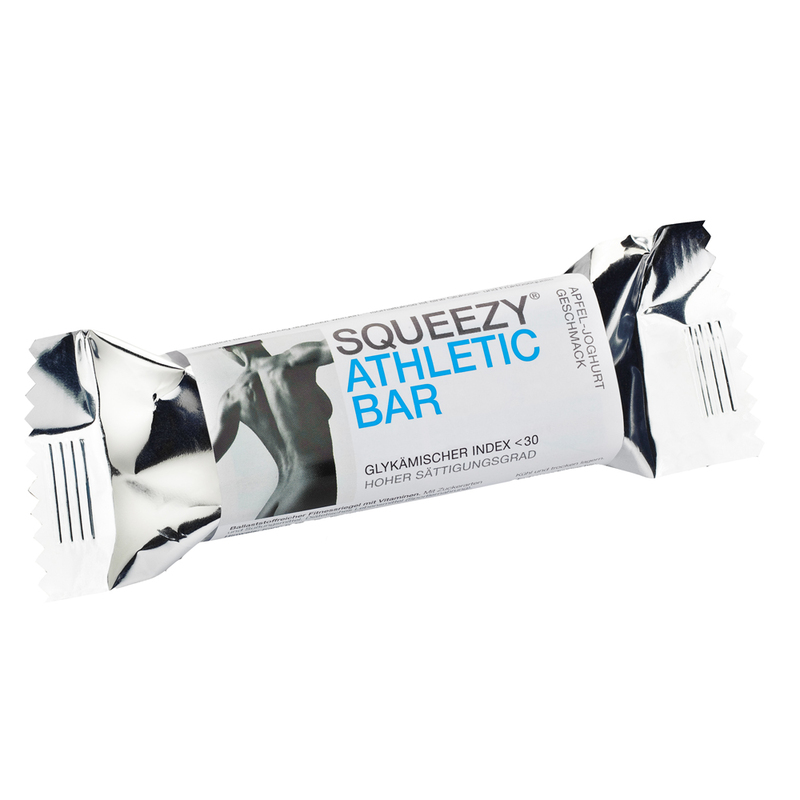 Carbohydrate containing gel (Dietary food for intense muscular effort, primarily for athletes). 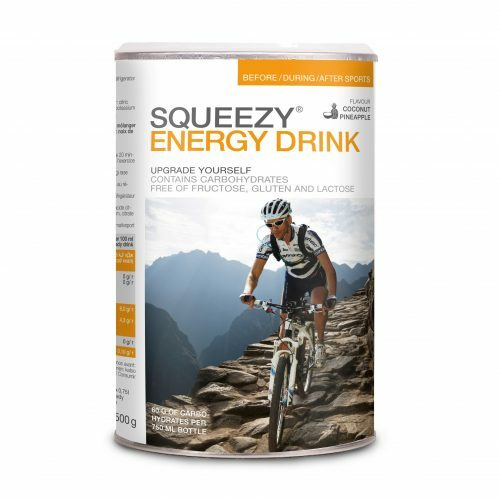 *Caffeine content: 60 mg/ 100 ml Drink Gel. Not suitable for children, pregnant women and caffeine sensitive persons. Average need of carbohydrates depending on the intensity of load. Training with heart rate of 60 – 70 % of maximum heart rate. 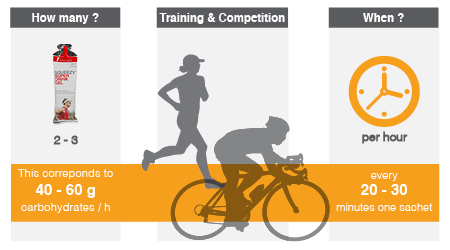 Training/ competition with heart rate of 70 – 80 % of maximum heart rate. 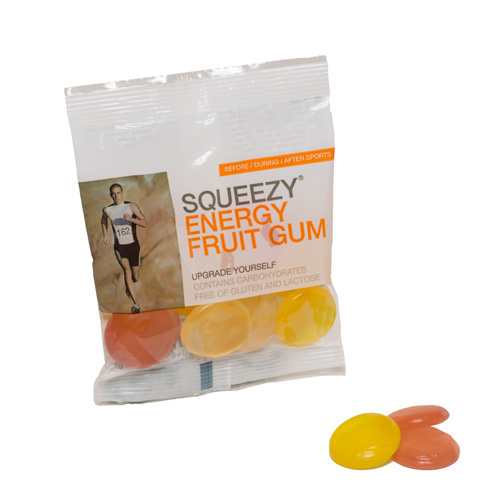 We recommend 2 – 3 sachet ENERGY GEL per hour during sports. 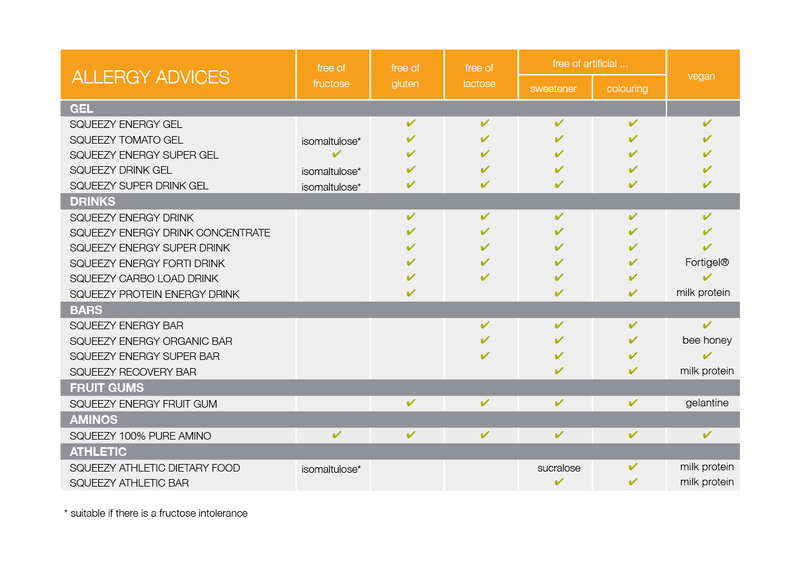 During sports we recommend 2 – 3 sachets ENERGY GEL á 33 g per hour. This corresponds to 42 – 63 g of carbohydrates. 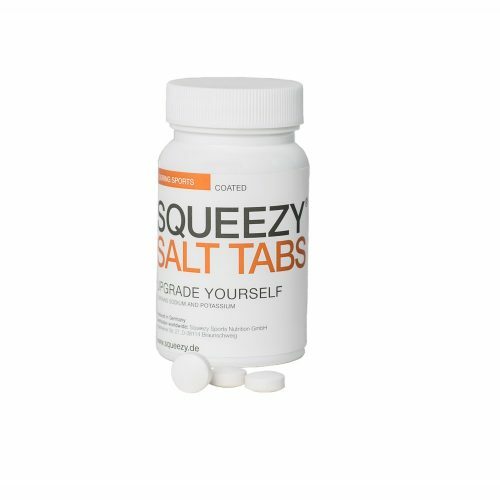 In order to optimize the absorption of carbohydrates you should drink up to 200 ml of water after each intake of a sachet á 33 g.
We recommend 2 – 3 sachet of SQUEEZY TOMATO GEL per hour during sports. During sports we recommend 2 – 3 sachets TOMATO GEL. This corresponds to 36 – 55 g of carbohydrates. We recommend the intake of 2 – 3 energy gels during sports. 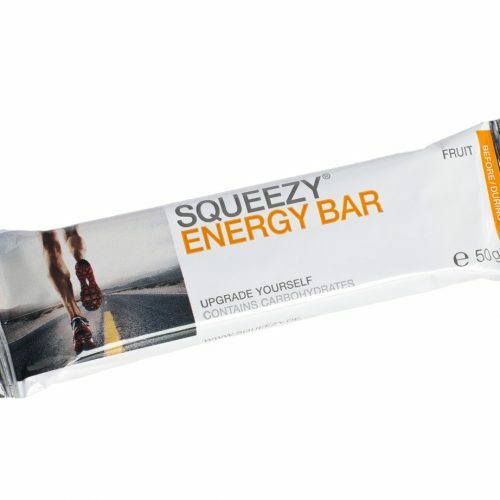 During sports we recommend 2 – 3 sachets of the fructose-free ENERGY GEL á 33 g per hour. 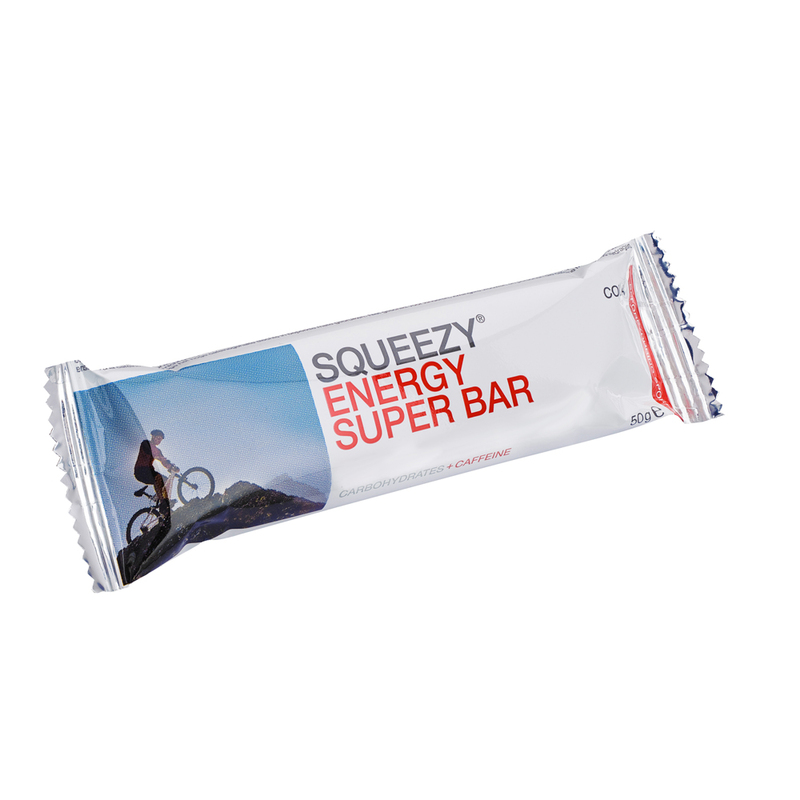 Advice: The ENERGY SUPER GEL contains caffeine. It is not suitable for children, pregnant woman and caffeine sensitive persons. 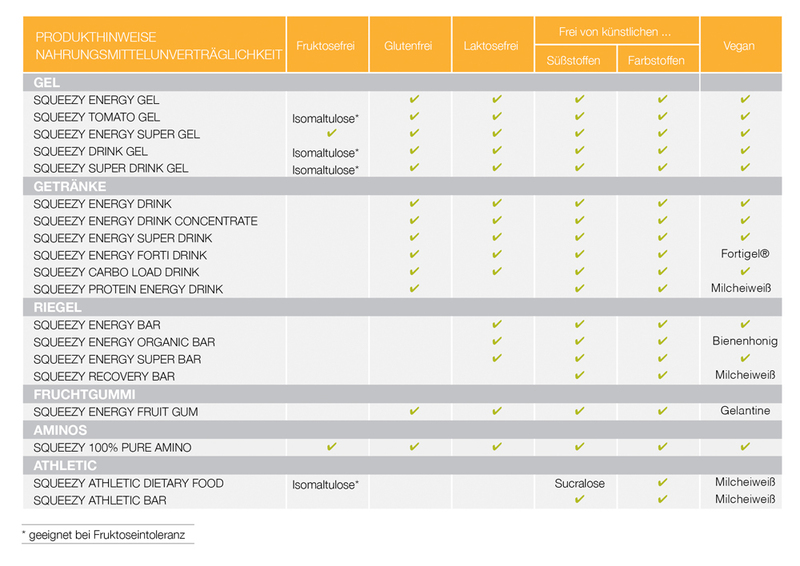 Recommendation for the use of energy sport gels. During sports we recommend 2 – 3 sachets DRINK GEL per hour. This corresponds to 40 – 60 g of carbohydrates. 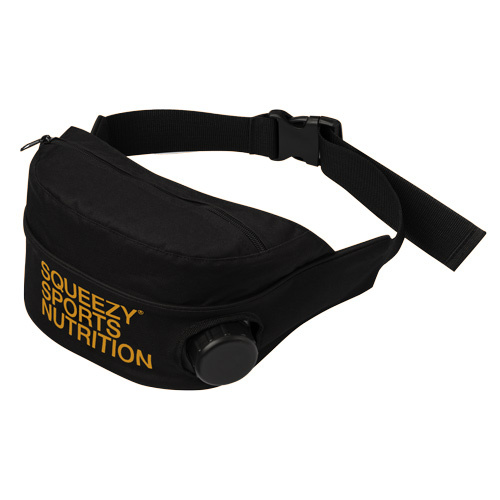 The SQUEEZY DRINK GEL does not require an additional intake of water to optimize the absorption of the carbohydrates. 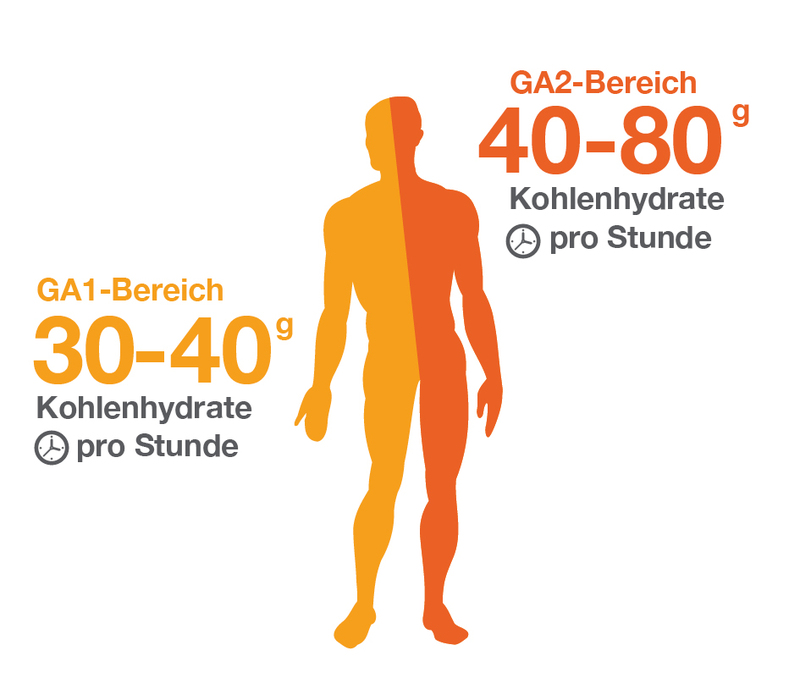 Recommended usage of a carbohydrate containing energy gel. During sports we recommend 2 – 3 sachets SUPER DRINK GEL per hour. 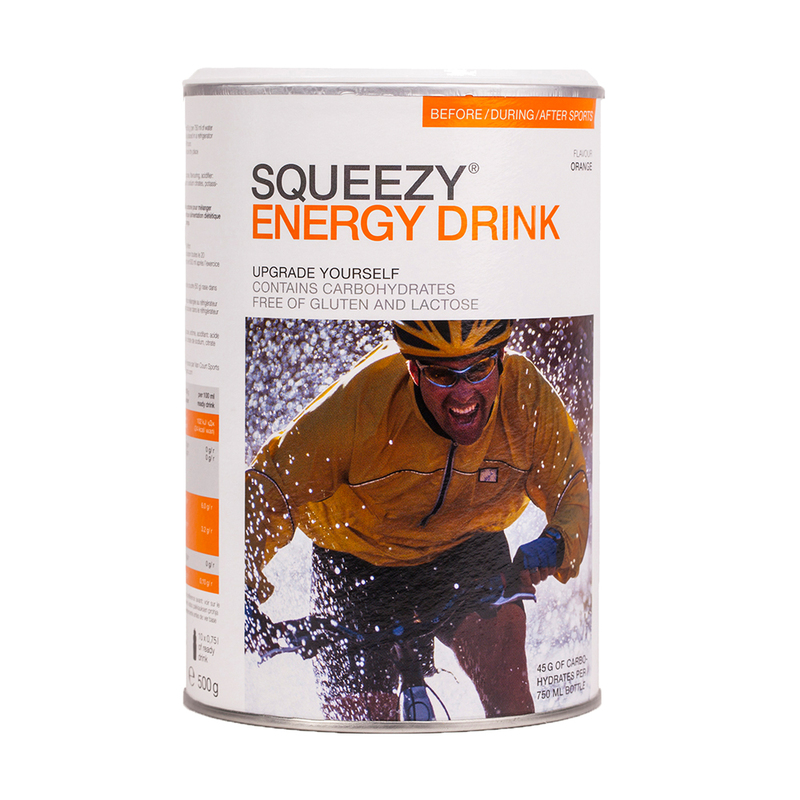 The SQUEEZY SUPER DRINK GEL does not require an additional intake of water to optimize the absorption of the carbohydrates. 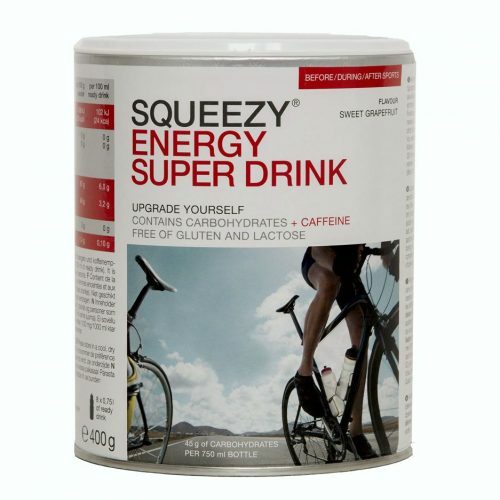 Advice: The SQUEEZY SUPER DRINK GEL contains caffeine. It is not suitable for children, pregnant women and caffeine sensitive persons.